Finally replaced the burnt looking amber headlights with new Magneti Marelli halogen clear headlights. Nothing new here, but, so satisfying after $900.00 and 45 minutes. I highly recommend. Sharing some happiness. Looks great! Almost bought those on EBay for my '99, but the "fit vehicle " feature said it wouldn't fit. I don't see why it wouldn't. Did you have to buy the corner pieces separately? Yes, they will fit. All 986 headlights are interchangeable. I bought them from parts geek. They are intended for the 2002 model on their site. However, they fit my '99 just fine. And yes, I had to order the triangles separately. I also changed out the side markers for clear. I replaced the tailights with the all-red version from Suncoast parts. All of this really updated the car nicely. 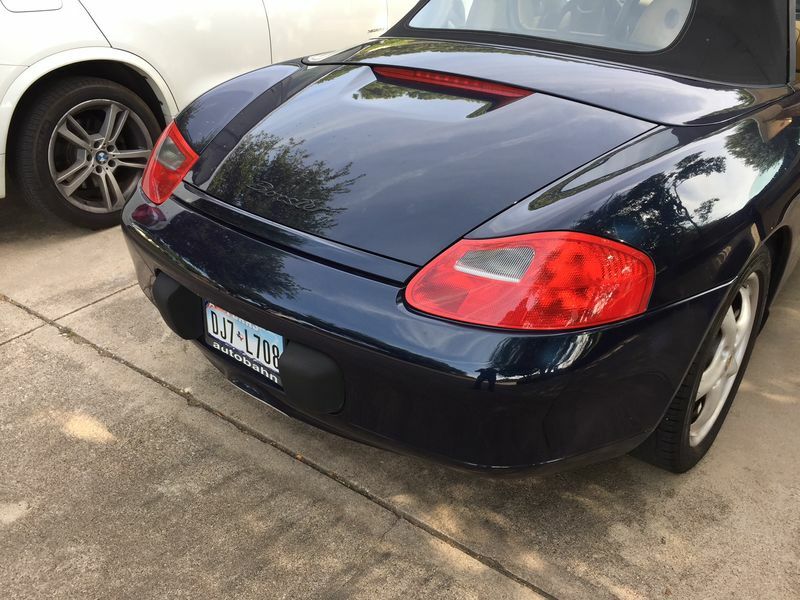 You have pics of the rear and potentially part numbers for all? I don't have part numbers, but, I can help this way. 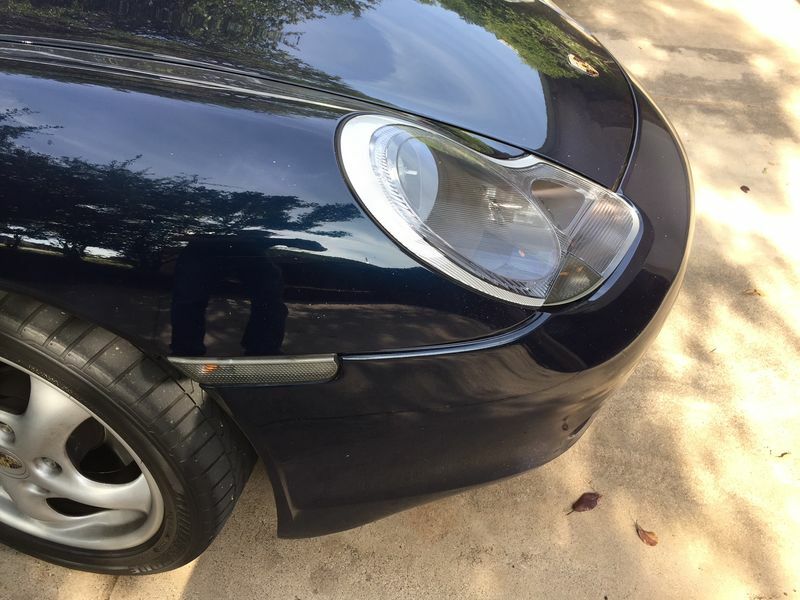 On the Parts Geek site you just need to search for headlights as if your car is a 2003 Boxster. Then you can will get to this link. I had mentioned searching a 2002 model but I was wrong about that. That gets you to the halogen clear lights. The price seems to have gone up a little bit. 500$ each. Then for Suncoast you can find the red tail lights. link. I also bought the clear side markers from Suncoast Parts for $98. All of this made the car look new. My last step will be to replace the leather on the seats. At this point I'm polishing the paint with a DA and correcting polish. I'm happy to post a pic of the tail lights later on today. It's subtle, but, they look good. Suncoast Parts Red Tail Light kit (986) $469.00. For some reason the link didn't work, but, a search for the above line will get you there. Clear side markers with new halogen clear headlights. What did you do with your old headlights and taillights? The old parts are just sitting in may garage in the boxes from the new parts. Hadn't really made any effort to sell them. I certainly don't need them.